HGTV tried something different with their Dream Home for 2016. 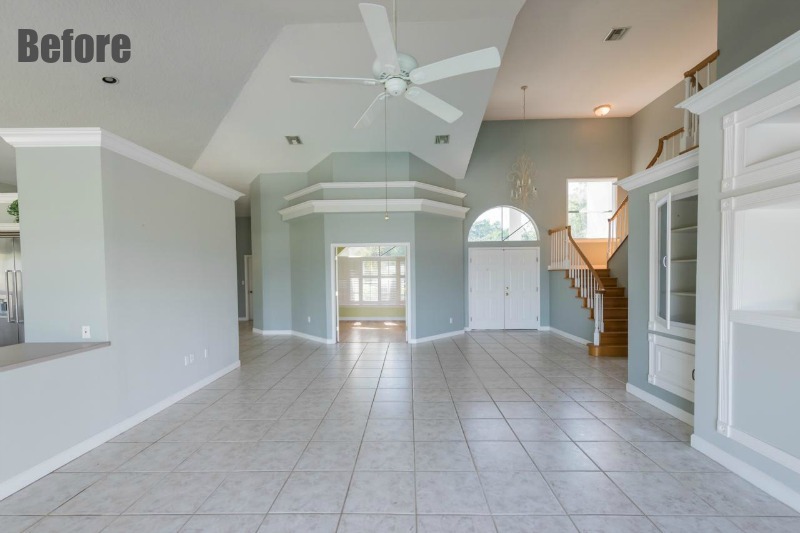 Instead of building a new house, they remodeled an existing one in Merritt Island, Florida. Take a look at the before and after pics to see if this is one you’d like to win! 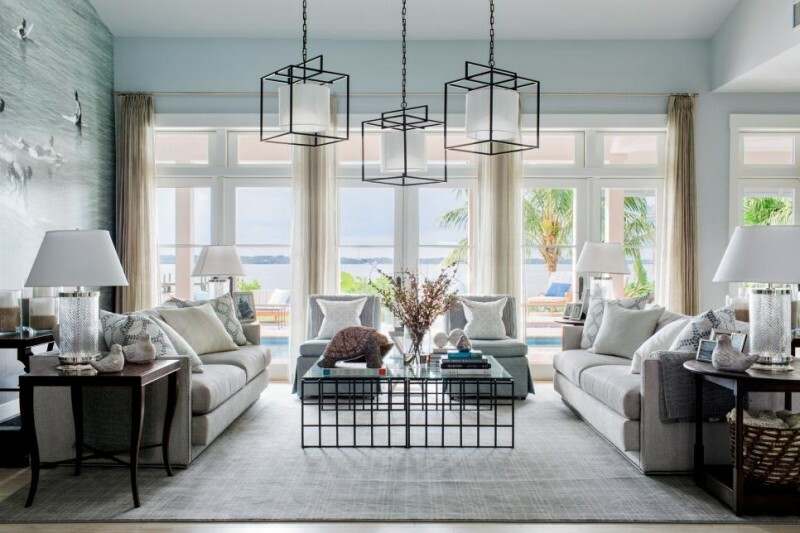 You can win this waterfront paradise dressed with furnishings from Ethan Allen and located in the vacation destination of Merritt Island, Florida, plus a 2016 GMC Acadia Denali and $250,000 provided by national mortgage lender Quicken Loans. The grand-prize package is valued at over $1.5 million. This year they hired designer Brian Patrick Flynn for the job instead of Linda Woodrum. He was the designer who gave HGTV’s Urban Oasis bungalow in Asheville a makeover earlier this year. Remember that one? What do you think? Want to win the Dream Home 2016? You can enter daily at HGTV.com and DIYNetwork.com. Check out the rest of the photos and get more information about the house here. Well….not impressed. I do not like the mural in the living room, the monochromatic blue tone. And definitely not the master bedroom in turquoise, who could sleep in there? For me HGTV Dream Homes have gone downhill the past few years…how sad. I love everything especially the lamps, vases, pillows, the colors, the colorful bedding, all the picture frames with my 6 children’s and 3 grandchildren pictures in them. I also love the all the books and every piece of furniture that they put in the home. I know I am forgetting some great pieces. as always jan, mom of 6. Wife of one, David if we would win the boat and the great vehicle he would be sitting in either the boat or vehicle for a month. My comment is above, sorry I wanted to add my kids and I love the mural. No matter who wins they will all love it just the way it is. bi again jan mom of 6 and grandma of 3. Oh, by the way my youngest son gave me my iPad on Mothers Day and when he gave it to me, he said” mom this is for the next five Mothers Days ” so I told him to take it back for I do not know a thing about computers, so he stayed all day to teach me how to use it. He made my email and password for me also.As fa as a website I do not know what that is, so I left it blank. Ok? I LOVE this Dream home!!! I wouldn’t change a thing, & it is absolutely the next step that makes sense for my future! I am losing sleep over this house, and my husband knows what that means! I pray I win this home for my family’s dream vacation home!!! I always look forward to Linda Woodrum’sdesigns. I was VERY DISAPPOINTED. It was a lot for me as well. If I won it, I’d sell it pretty quickly… probably after having to paint. So why bother to enter might I ask?? Personally, I’d take the cash option. No need to accept and then sell the house. Not impressed at all. I look forward all year to Linda Woodrum’s design. Flynn’s designs lack so much finesse. So much better could have been done. I hope Linda is back next year. Am I seeing things or did someone actually remove the tile roof and install shingles? That was not smart. Those are concrete tile and match the architecture. It is a very expensive upgrade and match the new style (and for that matter the old style) much better. I am in love with the place. It reminding me of my country back home. I even picture myself and my two beautiful daughters and my husband living in that dream house. I love the bedrooms color, its my favorite color, it the color of the water back home in st -marten. Great job HGTV. I love you guys. No, I’m not impressed either. The mural, the lighting, the master bedroom wall color (! ), all just leave me cold. I actually saw more that I don’t like than what I did like. The setting, of course, is beautiful. Also, the lack of a straight shot from garage to kitchen! Agreed. To me, this floor plan makes no sense for family life. Why didn’t they continue the restful blue into the master bedroom? Who can tolerate waking up EVERYDAY to the screaming turquoise? So sad. Whatever were the designers thinking? Oh well, it’s only paint and a questionable surfing mural. Otherwise, I like. I also loved last year’s dream home. This one is way too turquoise for me. I would love to see a “where are they now” article about past dream homes and their winners. I’d be interested in knowing how many of them actually kept the homes and lived in them. I don’t watch much HGTV these days, so thank you, Julia, for keeping us in the loop on this! Thanks, Suzanne. That’s exactly what I wanted to know. Sad, but not surprised to see that none of the winners have been able to make the house their home. Reading this article I could only think what a huge amount of money is being wasted. It could certainly be better spent putting regular folks in a home they could afford to live in and maintain. Building or remodeling a home to make it attractive and sustainable would still accomplish HGTV’s advertising goals. I believe everyone has their own personal color palette and that being said paint can be changed. I only wish one thing when it comes to these dream homes; that if you win, HGTV and DIY would include covering the taxes on what you win. This way people would have a chance to keep these beautiful homes. I know I would love to win a dream home like this but like most people we cannot afford the governments taxes on them. What’s the point in winning something like this if you can’t keep it. Think the $250,000 cash is to help with taxes…. Then don’t try to win it if you don’t like the home. Simple as that. I would love to live there full-time. I think it’s beautiful and if there is something I don’t like I would just change it when I decided to. Of course the new owner would put their own personal things in Their home too. Duh. I like the common rooms, but the turquoise ceiling in the master is just way too much (especially when the rest of the house is so muted). Also, can’t stand the media room! The couches aren’t facing the TV and there is too much stuff in front of the tv that would have to be moved whenever you want to use it! Way too fussy for me. If the TV wasn’t even there it would make a nice lounging room. I agree with you. There was so much stuff that I didn’t even see the TV. I’ll have to go back and look. That media room was silly. Either skip the tv and call it a sitting room, or put the tv where it can be seen and face the seating towards it…. They could have just made it another bed room! Love the fresh new feel and layout. Best thing they did was to beef up the mouldings. Skimpy mouldings make a house look cheaply built, IMHO. I love traditional style, but the new stair railing fits the space much better than the old one. Not a fan of the mural either, and the turquoise bedroom is a bit bright, but overall I think they did a fantastic job. I agree with Glenis. The mural would have to go and at least the bedroom and media room would have to be repainted. Exactly what I thought, Glenis, who could fall asleep in a room that color. Plus, the accessibility, or rather lack thereof, of the kitchen from the garage. Heavy grocery bags will have to be carried from the car either through the mudroom, through the dining room, through the living room into the kitchen, or out the back door of the garage, through the side yard, around the back of the house into the kitchen. Would have made more sense to reconfigure and flip the locations of kitchen and media room area so the route would be garage, mud room, kitchen. Agree 100%. One of the things I look at first in a floor plan is access from the car to the kitchen. I really like this, overall. The new exterior is lovely, but it wasn’t terrible before, was it? I like what they’ve done with the stairs…instantly updates the entry. I, unlike everyone else so far, actually like the mural, which adds a bit of vintage charm, while maintaining the soft palette they’ve introduced to this large, open area. There are some things I’m not as keen on. The credenza thing in the dining room is not attractive, and doesn’t suit the modern aesthetic of the room. Why did they rip out and completely re-do the kitchen? To me, it was fine as it was; other than the laminate counter tops. Are the lighting fixtures a bit oversized? I know it’s a big space to fill up, but they all just seem to dominate. My biggest gripe with the remodel is the landscaping. They took out some beautiful and interesting plants (look at the size of those cycads in front–would cost $250-350 each to replace!) and put in a bunch of cheap, overused, and boring shrubs instead. I also hate all the paving in front where there used to be grass. From a functional point of view, we have exchanged a cool, shady area for hot pavement in a hot climate. I agree that the landscape needed a little taming, but there is a difference between taming and mutilating. There seems to be a trend toward showing off the house at the expense of beautiful and functional landscapes. No reason you can’t have both. This is my biggest complaint as well. I live in a warm climate on the opposite coast, and I’d hate to lose all that cooling greenery. Besides, I really hate a lot of hardscape around a house — makes it feel sterile and uninviting. I agree with others that the stair railing is a major upgrade, but not much else really wows me. Of course, I’ve always hated Linda Woodrum’s decorating choices, but I don’t think they’ve improve much with Flynn. Love it! ..or at least most of it. I like the mural in the living room. It could have really been intense, but I think it’s muted enough. The first thing I noticed though was how much of the front landscape was ripped out. Unless the palms were diseased, I don’t see the point of taking them down. I thought they looked great before. Some of the colors are too much for me, like in the media room and master. My favorite part of the house is the most important…LOCATION! In Dream Homes past, although they would be nice to win, I could never really picture myself there. I could see my family spending a lot of time here. I love that it’s a remodel and I also love what they did with it. The kitchen wall/backsplash is the only part I wasn’t crazy about. I like the mural – it does add a vintage spin to the house. I also like the new staircase and the floors. The soothing blues are fine, the turquoise is way too harsh for the space. Overall, it’s a fun house and I’ll take it, but it’s not one of HGTV’s best and brightest. I like that you can now see the house where before it looked hidden and crowded. and the outside is very pretty, though I’d make the fence go away..it’s distracting and the house would look nicer with out it. It’s not a favorite house.. there are some nice things about it.. and it is SO MUCH better than the hideous bungalow. This house might be a good seasonal rental..
For a remodel, I think it’s lovely! The exterior is such an improvement. I love the stairwell, the updated kitchen and even the mural. The media room is awkward and the turquoise master is over the top but that’s just some furniture rearrangement and a few cans of paint. It’s also unfortunate they couldn’t salvage at least some of the mature landscaping. If they had built this from the ground up it wouldn’t be their best work, but for a complete overhaul, I like it! Love the exterior. …The interior, not so much. Ugh. I would have to spend the $250 grand to undo most of what was done. Small wonder since I didn’t like what the designer did to that poor defenseless bungalow either. The problem that I see with every Dream Home is the financial burden it puts on the winner. I don’t know of a winner yet who has opted for the home, car, and money. Rather they take the cash value, and still have to pay tax on all that, as income. Also, many of the locations they choose are what I call “second home” towns, where you might not want to, or be able to, live and work, but where you could vacation. I lived year-round on Martha’s Vineyard for years in the 70s and went back recently for a 40th reunion trip. The street on which last year’s house sat, Crocker Drive, was once nothing but modest homes for working class stiffs like me. All neatly maintained but small cape cods or ranches. The builder of the MV home bought out almost the whole street on one side, and when we were there, it was nothing but massive construction of pretty but cookie cutter homes that don’t REMOTELY suit what Edgartown is all about. The MV Dream Home has ZERO land, backs up to a steep slope, you can’t easily walk to town or the beach, is across the street from the old modest homes of the 60s, and is so out of place, it should have never been there. Here are some photos of what Edgartown is really all about, and a few of the dream house. The concept of rehabbing an existing home appeals to me more, but it still always goes back to money. Few of us can afford to accept the prize of a house, car, and money. The IRS will come and get you before you can say thank you. The financial burden is why HGTV started adding the cash to the full prize. Until that point people needed to come up with the gift tax out of pocket. Apparently they try to include an amount that enables the winner to actually keep the home. Of course, you can always take the cash equivalent option (which includes the cash prize portion). Greg: If you won a $2 million dollar home along with a cash prize of $250,000, you’d have total winnings of about $2.25 million dollars. Those prize winnings are taxable to you. With that, you would owe the federal government about $800,000, which is actually more than the cash prize that was won. You would probably have to sell the home just to be able to pay the federal income taxes. In addition to paying taxes to the federal government, say hello to the state, they want their share of that windfall. If you sold the house right away, you would still owe on the winnings, that won’t go away, but you would now owe capital gains tax on the sell of the house. So opting for the all cash deal is a better option for 98% of people who enter these sweepstakes, they still have a large sum of cash, and can now pay for their own more modest home, or their child’s college education. I guess if you win you need a tax attorney ASAP!!! Thank you! All these years I’ve entered the contest I always check out the tax burden and I honestly can’t see how it would be financially worth it to keep any of the houses, especially this house. I checked out some comparable homes in the area and quite a few of them are under 500 thousand… Aside from the tax from winning with this home the yearly taxes on the property are $7,700. and then there’s the HOA fee too which isn’t much but it’s still another bill. I wish HGTV would remodel a more affordable home for the average person. I imagine anyone who could afford to lay out the taxes for this one probably isn’t entering this contest. You wouldn’t have to pay Capital Gains if you sold the house at or below the price HGTV listed it’s value that you paid taxs on. Since you have to recognize it as income the cost basis is set at that price and not $0. I think the poster was referring to Capital gain’s tax if you sell the home you currently own.. not the dream home.. Since you’re not really buying a house with your house sale money, you have pay taxes on that income. Are you saying that if someone from Fla. won they wouldn’t pay taxes on it? That would be nice. I’m in NY.. NY would bankrupt me with the taxes. I guess I am in the minority that likes the mural in the living room. I also had some silly thoughts when I saw the low lighting fixture in the master bedroom. Um, that almost looks as if it can get in the way. (Hee hee) I also think the placement of the tv in there is ridiculous. I would have preferred they left it out of there altogether. While I am neither enthralled by the location or the home, I like that they chose a home that could use some love. I wish they would do more remodel/renovations as opposed to building brand new. I’m with you in the minority group as well. Boy, did my hubby and I ever have a laugh about the low light over the bed!! That’s just begging for a trip to the emergency room and a story to tell for years to come 😉 I love the colors and the over all feel of the place. Bonus points for rehabbing an existing house over new construction!! Let’s hope they stick with this trend – there are sooo many houses just going to waste that could be made even better than when they were first built. As for the location – it’s perfect for entertaining guests! You have Cape Canaveral right there and you are only an hour away from Disney World! Plus, this area seems to have more job opportunities compared to other locations. I guess maybe I was the only one that scrolled through slowly….and thought were the heck is some color and BAM! I am a big fan of color, but turquoise for a bedroom is certainly not soothing, but I love it. I would not change it. Well, it’s undeniably better than the before, and I’m glad they chose to re-do rather than do a new build. I think it’s not only more sustainable, but shows the audience what can be done with unspectacular houses in established and desirable areas. (Though I hear you, EOSredux – such a shame about MV.) Most of the improvement is due to the remodeling of the interior architecture – changing ceiling lines, removing or closing in partial and odd shaped walls, replacing windows and adding transom windows, replacing sliders with French doors, removing extraneous trim and replacing elaborate moldings with straight, simple profiles. That makes a huge difference. The decorating is OK. I like the calm light bluish gray (at least as it appears on my monitor) paint color in the living area much better than the original darker gray. The living room is pretty (if I ignore the mural), but I would place the two living room armless chairs facing the view rather than with backs to it, as it appears there is enough walkway space to do so. After all, the view is the story here (though I admit it would restrict the flow into the room). I, too, feel disappointed in the wholesale removal of the original landscaping, when some judicious trimming would have sufficed. And I don’t care for the turquoise in the bedroom and the odd configuration of the media room. The kitchen pretty much leaves me cold. I won’t be entering the drawing. I agree with your points, mostly. I like most of the decisions and changes. But I am puzzled by the consistent awkward arrangement of viewpoints. The old kitchen, for example, was nice and open and the stove and work area faced the lovely western water view. Plus the area under the windows in the kitchen was open – now there are chests of drawers?? Those would go almost immediately for me. I like the way they squared up that odd bay which was originally a dining nook I guess. The three chests seems odd. I do like the style of them, but not there. I can see the need for a buffet/credenza for serving plus storage there. But I do wonder about the lack of a casual dining space – there’s only the island bar with three stools. Yes, the dining room is open and right around the corner, and I suppose it would accommodate most needs. So, maybe not a problem but I’d like to see a kiddie table ;-). I think the outdoor dining set in the front courtyard is ridiculous. Who will sit out there on the hot pavement, umbrella or no, when the water view and the pool is in back? Could have been better used with some shady landscaping like they got rid of! I looked at all of the kitchen info to find out the brand of stove and refrigerator they used, but didn’t find that info. Can someone provide the brand names? Does anyone know the street address of this property? Not a problem. My daughter and I had fun just traveling up the coastline of Meritt Island against the river on Google Maps until we found the home. It only took a few minutes before we definitely found it. Can you tour the house? Someone asked before but there was no reply, re: Is the home open for visiting in person? I thought they did so in the past , but I couldn’t find anything about an “Open House” in any of the HGTV website on this home. We’ll be in the area and would love to see it in person! While reviewing the sweepstakes rules, i noticed that it said No Tours of house are available- so I answered my own question! The mural seems to be pretty divisive, but I love it. I also like the kitchen. But I am not a fan of the bedroom color or the media room. It’s just “ok” to me. I like that they remodeled a home, but sad they didn’t continue using Linda Woodrum, her homes seemed stylish but still practical. Brian Patrick Flynn is local to where I live and I’ve just never liked his style, but just my opinion! The exterior is sad. They decimated all that lovely, lush landscape for some trendiness. I used to live there, and lush landscape is such a help in keeping cool! I have been to at least one of the dream homes, and to me they are more of a nightmare. Why do they do it? In this example, they ripped out a lushly verdant front lawn and replaced it with pavement and straggly plants. It’s certainly not an improvement. The inside was not well thought out, either. Every dream home I have seen is an absolute fail. But it’s what I would expect from HGTV anyway, as 99% of their programming is abysmally bad. I can no longer bear to watch it, as I see them gleefully ripping out all the charm of a house and replace it with something utterly boring and cookie cutter. No thanks. Too much, too over the top. I always look forward to Linda Woodrum’s design. I was very disappointed. Forgot to mention that I love The way Joanna Gaines decorates, maybe they can get her for the next Giveaway House.. ? Ooh, it would be fun to see what she came up with! I agree! We need to see warm,cozy, and comfy! Joanna Gaines is awesome! I’d love to see her redo one too. I love her designs. The first thing I saw that horrified me the most is the roof. They actually removed a red clay tile roof and replaced it with a regular shingle roof. Sheer idiocy! A red clay roof will last hundreds of years. A shingle roof, maybe 10 or 20 years. And red clay tile roofs are part of the vernacular of the architecture in Florida. The style of the house calls for a tile roof. What were they thinking? It’s not a shingle roof; it’s concrete roof tile. BTW, red clay roof tile’s curved shape catch the wind and are pulled off the roof in hurricanes. These flat concrete tiles are an excellent insulator that keeping your home cooler in summer and warmer in winter, reducing energy costs. They are heavy enough to take snow loads, high winds will not lift them and they resist hail damage. I take issue with your statement that having grass is ecologically unsound relative to the installation of pavement. Living plants create a cooling effect, leading to less use of air-conditioning. The plants will also hold in the heat during cold weather, leading to lower heating bills. The “hot” climate of Florida is tropical, so water isn’t such a big problem. Although I’m not a big fan of grass per se because of all the chemicals and fertilizers that are often used on it, it is probably overall better for the environment than large expanses of cement. I’m with you. And if people don’t like it…don’t enter! If I win I would probably change the media room into a kid-friendly bedroom. Of course everyone is not going to like everything. That’s impossible. I LOVE the tropical colors in the master! Don’t care much about the design this year. I hope HGTV brings back Linda Woodrum for next year. Very disappointed. Though there were areas I did like, I did not like the turquoise used in the master bedroom, the coral in one of the other bedrooms, or the mural in the living room. A disappointment compared to other dream homes they’ve had. Oh well, maybe next year. While it was dated before, it is so trendy now that it is already looking dated again. Would have preferred to see a classic re-model. All those giant light fixtures with the many angles of the ceiling make me dizzy. It would be nice if they did the before and after pictures from the same POV so you could really see the changes that were made. This is an ego piece from the designer, he is showing off, but not a good livable design for most of us. They spent way to much time on the construction aspects and not enough on the house and decor I taped the show and normally watch it several times not this time. Missed Linda – the new designer wasn’t even there to talk about why he chose colors furniture etc. where are the female designers on hgtv? Felt like colors were chosen to sell paint not a long term design choice. The show isn’t interesting anymore. I don’t love the color choices but they could be switched. As a second home wouldn’t bother me at all. I’d love to see a ski mural instead of surfers. So obvious for a Beach house. I thought Linda’s designs were predictable so I like this designer better. Just my 2 cents. Back to your blog after a long absence. Have missed it. This place was awful to begin with so almost anything they did would have been an improvement, I think. I’d soften the colors but most of it is ok in my book. No harm meant to any Floridian readers but I’m not a huge fan of the place….except parts of the Gulf Coast, which are truly lovely. Very glad to be back, Julia. You do a beautiful job! There were a few good features here, but even for Florida ‘standards’ this was a bit much (oh wait, maybe they were setting this up to film an old 1970 or 1980 show)? I was not impressed, preferred before to after. Way too much white, and don’t like the mural. I’d have chosen a mural of a breaching whale, or something along those lines. The whole thing is just too white, too open, and they removed the pond. The pond would have been a buying point for me. The rooms were huge enough to begin with, opening it up further was overkill IMHO. Really didn’t like anything they did to it, except maybe the dock. When I first noticed the pond missing I felt it as a loss but then taking into consideration of the house being directly on a beautiful water front I felt the pond was somewhat unnecessary. Secondly, still water, such as a pond so close to the sitting area, would most definitely invite mosquitoes. I am not a fan of swatting bugs and mosquitoes so the less invitation to them, the better. It’s been years since I spent any time in Florida but those experiences were not well-remembered other than the stinking awful humidity and too many flying bugs. Ha. I definitely would take the cash option. I already have a beautiful home right here on the Pacific Ocean. The new exterior is much more sophisticated than it was before; especially the entry. The original windows lacked continuity and were visually chaotic, so I approve of the exterior changes. I preferred the original landscaping to what is there now, however. It’s a bit stark now… the lawn looked much greener and homier than the current extensive paving. Nothing about the interior spaces – before OR after – is especially droolworthy. I don’t like the decor overall, but I do think an amazing opportunity was missed with the mural. If it had been in colour and scaled down to a huge art piece rather than covering the wall completely, it would have looked so much better than an entire wall of blah boring monochrome. It should have been a real W O W piece, but the scale and colours were completely wrong. I like the house very mush but dislike the mural and the color of the master bedroom. I think they wanted a waterfront location this year and chose this one to remodel. With a new build on the water, they most likely would have to build on pilings which is very expensive. Also, in order to sell to someone who needs a mortgage, you would have to have flood insurance. Just speculating on my part as to why a waterfront remodel property was chosen. I was thinking the same thing re: flood insurance. It’s going to be VERY difficult to find home owners insurance, including flood, excess flood, and wind policies for this expensive sea level home. Good luck with that, winner! I owned a home on Sanibel and wow, just finding anyone who would insure us in a flood zone was almost impossible and my house was a new build (2004) on pilings! And, when were able to get good insurance, it was in the ballpark of $4k per year on a million dollar home, just for the insurance policies!! Add property taxes to that and most people could never afford to live in a Dream Home. Can you imagine the hassle you’d have bringing in groceries? Garage to mud room to dining room to living room and finally to the kitchen. I agree with Elizabeth, what were they thinking with garage access in that location. As for color. I love color but this designer doesn’t know how to use it. David Bromstad knows Florida and colors he should do the next dream home in Florida. Finally, those who said they don’t like Florida so would take the money. That was rude and uncalled for to us Floridians and not helpful in the home critique. There are a lot of states I wouldn’t live in, some have had dream homes built there, but I would not point that out to the people who live there if that wasn’t pertinent to the discussion. Florida is over crowded so you not wanting to be here is best for the state. I am one of those who said, very gently, that much of Florida is not for me. It has nothing to do with Floridians, most of whom, I’m sure, are extremely fine people. I think the location of the house has a great deal to do with whether someone would be interested in winning it, and is indeed relevant to the conversation we’re having here. In the case of this house its style and decoration are heavily based on its location. I must apologize to you if my comment seemed rude….I was careful not to make it so, but I must have failed. Re the bright paint colors and the surfing mural…on the home-selling shows, they are always telling the home owner to depersonalize the house, e.g. Use neutral colors and remove personal photos. Those colors and the mural scream Personalization to me. To me the mural would only make sense if the surfers were my family members. Glad to see they removed the cream colored square tiles. Almost every house for sale in Florida on the house hunter shows seems to have that tile (not being critical…it is in one of our bathrooms here in TN). I guess tile is the best option for the FL environment, so it appears that they installed porcelain tile that looks like wood in some of the rooms. That would be a perfect option as you can have the look of almost any color of wood with the ease of care offered by tile. dear julia, HNY to you and your family. do you know what are the requirements for winning? do i have to live in florida? If i win could i sell the house or do I have to live in it? Does hgtv assist with mortgage and utilities and ground upkeep? dear julia, thank you. i will go and read it. I would love a beach house; no matter the design, colors or other features that so many seem to abject to. Decor is the least of my worries; having a boat, a dock and access to the water is the beauty of this place. Would love love love it!!! I love the house except for 2 things. I hate the mural and bedroom colors are too bright for me. Paint could solve all my problems. I would love to win it and I would locate there if I did. I’m late to the party (and quite a party it was in the comments! ), but when I saw that it was a remodel, I KNEW you’d have the before pictures to share. The dream homes are always a little too much for me, but it’s fun to see a renovation vs. new construction. I hope they use an existing home again in the future! I too did not care for the design choices this year and wished the designer from the previous dream homes would have done it. I live 20 min north of Merritt Island and my husband was born and raised there. His parents and immediate family all live there. We Floridians do take offense to the comments of people saying they would NEVER live in Florida. To each their own. I would not live in a state where you have to scrape your windshield before leaving in the morning or shoveling snow. I personally like the mural. Cocoa Beach is just over the bridge from MI, so it’s very appropriate and the black and white is very neutral and suttle. I think some of the other color choices are what’s fighting against it. Good luck to all who enter! The taxes will be outrageous, so keep that in mind! ? Hmmm. No one here ( not ONE person) has said they would NEVER live in FL. Check your hurt at the door (and please re-read the comments). I’m originally from MA, where we scrape our windshields for much of most winters, but I am a grown woman and therefore not in the least offended by your comment about my home state. In fact, I tend to agree with you. Florida has many things to recommend it. But not everyone wants to live there. I am surprised and disillusioned by the comments of some Floridians on this post. I love Julia’s site and would hope that this will be the last of the ridiculously defensive comments by Floridians here. The rooms look so small and boxed in now. Very odd choices for such a big home. I love this years HGTV Dreamhouse!!! Wow wouldn’t it be wonderful if I won this house for my family to spend vacations at together! A girl can dream!!! Overall it is a nice home and location. Unlike many comments, I love the mural. I’m an old surfer, and seeing that on my wall every day would be awesome. The older guy with white hair in the middle of the pack might even be Duke Kahanamoku, a surf legend. Regarding comments about the clay tile roof being changed to shingles, I can’t be certain, but I don’t believe those are the standard “asphalt” shingles most people think of. It appears to be much thicker, and I would be surprised if its not some new composite. Clay tiles are a common part of Florida building, but these days people are going with other choices due mainly to the problem with tiles breaking when hit by flying objects in a storm. I sure hope everyone complaining about the house isn’t entered to win so that someone, like myself, who will appreciate it can ! I agree! I would LOVE to win this house and I would relocate from Arkansas to the coast in a heartbeat. I would gather. Up my old auntie from North Carolina,Ina and move her in with me as she’s been dreaming of a warmer climate for years. The color scheme is Loud but it’s appropriate for a beach house. It’s just paint and can be changed but I’d bet it looks a lot better in person. The LOCATION AND VIEWS ARE EVERYTHING! I agree also. 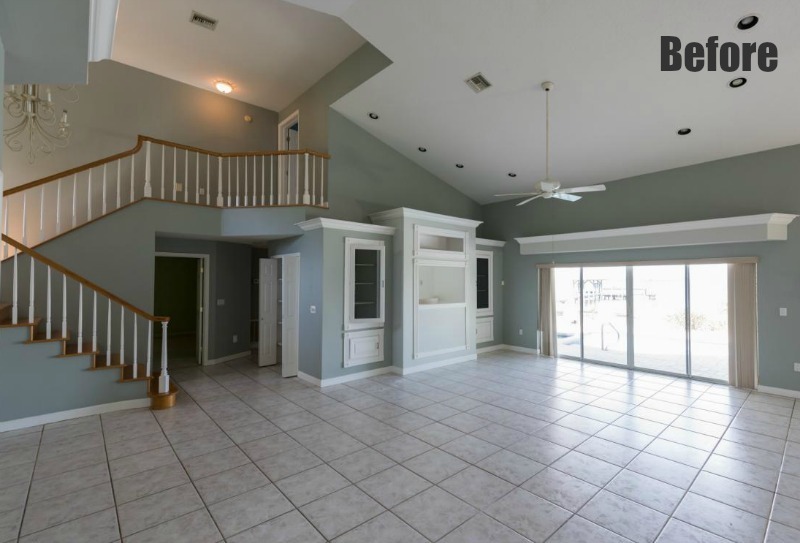 I will move in the day after I win it (wishfull thinking) I currently live in Key West and move up there in a heart beat, The only thing I was disappointed with wazs the hot tub is gone, otherwise a perfect place to live especially with the boat they are including. I love it. I think I’d live mostly in the pool and on the dock anyway. There really isn’t anything I’d change about the inside decor except to move those marble balls off the glass topped table.. that’s an accident waiting to happen, and I’m not so sure about the string art with the nails right next to the toilet seat in the terrace bathroom… nails, naked butts.. that could be painful…. but I love the nail art picture. If anything, I’d just move it somewhere else. My least favorite dream home ever. Decor lacked Linda’s magic touch and many other familiar faces missing which showed in end result. I’m with you, last year’s was my favorite and we are building a new home on Fidalgo Island inspired by it. Will not bother registering to win this year’s home – very disappointed. I agree that it wasn’t bad before, although it was a little dated, and that screaming orange bathroom had to be repainted! But I preferred the orientation and location of the kitchen before the remodel. Does it seem that the house was more connected to the outside and the view before??? Love, love, love it! Can’t wait to move in. My husband Glenn and I having been dreaming of our forever home in this area, and have been looking seriously lately. So excited to make our dream home an actual HGTV Dream Home. If you watch the video’s or the 360 degree view you’ll see random doors that I assume are closets. Aside from the bedroom closets I saw a door in the foyer, and there’s another door right before you enter the master bedroom upstairs. I hope there’s more closets than those though. I agree with so many of these posts. All the concrete in the front instead of lush, cooling landscape? Ugh. The mural? Really? The master bedroom & bathroom? That “turquoise” is neon (well, at least in pics & on TV) and I, personally, dislike a white bathroom. Too sterile. Not a relaxing oasis. I also noticed that the original house had the pool & balcony screened in. Not super attractive, but functional & necessary if you don’t like bugs. I don’t like bugs. They were clearly going for aesthetics and not practicality in choosing not to replace that feature. I googled earthed the address (thanks, MB), all the other homes in that area have their pools screened in. So, that would be an additional added expense. I read on the HGTV site that they wanted to get rid of that old Florida feel and make it more like the Hamptons. Booooo! I spent a lot of time as a child in south Florida (70’s & 80’s). I happen to love the Florida feel & look and Florida in general. I spend a lot of time in the Hamptons now. This house doesn’t have that feel either. It also looks like a sea plane is located just a few doors down. So, I would think it takes off in the river along the backyard (totally guessing at that). But, if it does, what a nuisance! Noisy & dirty. Not that any of my concerns matter because I wouldn’t be able to afford the house anyway. It’s just nice to read everyone’s thoughts. I looked at the original listing via the link posted and didn’t see that the pool was screened in. Really? I know I saw it somewhere (a while ago). The pool & balcony were screened. Maybe right on the HGTV site. Don’t get me wrong, I’d move in too! I just think a lot of their design choices were a little weird. Even if there weren’t screens originally, there would have to be now. I can’t deal with bugs. Especially ones that bite and sting. I have a friend in the area who tells me how crazy buggy it is. And I’d still want to check out the whole “Sea Plane” thing. It could very well be absolutely nothing. This was the last day to enter. Good luck, everyone! Beautiful house, and alot of work and planning to make it that way. Some family will thoroughly enjoy this amazing home for many years to come. The beauty of nature all around you is an added bonus. Everyone has their personal tastes, but just as it is, this Dream Home definitely “has the bones!” Thank you HGTV for supplying the reality to this magnificent dream. I would love the house for retirement, but alas-even here in high cost northern VA, selling my lovely home would not pay for the taxes due. Would try to figure it out though if I were to win!! agree with comments re turquoise bedroom–TOO MUCH! Big change I would have to make is to screen in the lanai. many vacations in Fl have shown me that evenings are much more enjoyable with some mosquito protection. Ohhhh how I would absolutely love to get out of Pennsylvania and be in a much warmer climate. I am so sick of having cold numb feet and dry skin in the winter time and suffering with allergies in the summer! Florida would be absolutely perfect, especially because my grandma lives there and I haven’t been able to visit in over 20 years (I’m now 31). I also have some other family I have never even met! I love this dream home. It’s absolutely perfect and I would only add a few small touches (mostly family photos) to really make it feel like home =) My favorite is the outdoor space, pool, and I absolutely Love the view. What an extraordinary makeover ! I love the decor’, most certainly the corral orange bedroom too. The designer certainly had a splendid vision for this lovely restoration ! Amazing feature of the water garden, so – so many attractions within this selected property ! My eye is on the GMC, if I win, Ronda @ Re/Max will have a: New Listing… I’d rather live in a wilderness type environment such as: Tenn,, or Virginia. However, I do love this HGTV DREAM HOME 2016 Giveaway ! I’m in love with this house. It’s beautiful and elegant. I would be honored to live in this perfect restoration beach house. I got an email the other day saying they’ve chosen the lucky winner of this home. Every time the phone rings I check the caller ID to see if it say’s HGTV.. LOL..